We heard through the grapevine that a major TV network is going to do a fairy tale reboot of everyone's favorite reality show. They're going to have a bunch of famous fairy tale characters live in a big, fancy house and they'll have to get along and share their space, all while planning and hosting a Halloween blowout party for the books! We can't wait to watch what happens! Needless to say, the auditions will be A-list characters only, and the competition will be brutal. So if you want a shot at your 15 minutes of fame, prep your sides and callback material in this Bo Peep Plus Size Women's Costume. 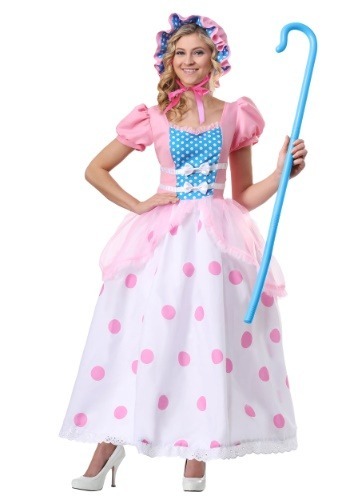 Look at how sweet Bo Peep looks in this costume? We can't wait to see what she's really like! Though, we hope you manage to be the "character" everyone likes on the show—the one who's diplomatic, who stays out of the drama, and who even helps to shepherd the group together when they run astray. We won't hold it against you, though, if every once and a while you need to vent during your confessional videos—a living situation like that can be stressful! This exclusive costume will look stupendous for your screen test—that pink really pops! In this look, you're bound to become a cornerstone of the house dynamic. 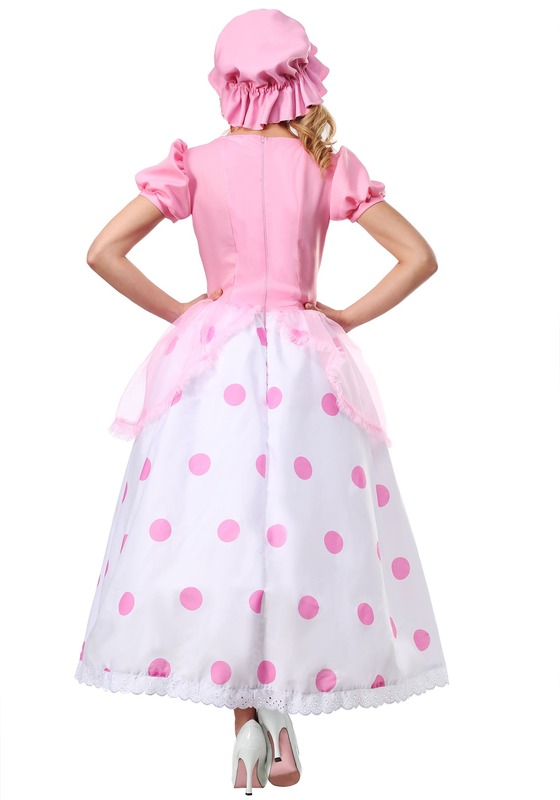 It's a princess-style gown with a polka-dotted skirt, bow-topped bodice, and puffed sleeves. The matching bonnet ensures that you both look the part AND that you never have a bad hair day onscreen (phew!). Grab yourself a shepherd's crook, we have a feeling you'll need it. Of course, if reality TV isn't your thing, you can still enjoy this cute, classic costume for Halloween festivities. It's a timeless look bound to fit in at any costume party, but its craftsmanship and bright colors will still help you stand out from the flock!